John Percival Tate was born in Wellington, New Zealand, on 21 March 1894, the son of merchant Robert Gillies Tate and his wife Frances Lillian, nee Gumley. At Scots Presbyterian Church, Sydney, on 31 December 1920, he married a widow Gladys Woodland (d.1974), nee Farquharson. On 7 June 1976 he married Bernice Ida Cheetham in Canberra. He died at Canberra Hospital on 21 January 1977 and was cremated. His second wife and the four sons of his first marriage survived him. He was Presbyterian. John Tate was educated at a New Zealand high school and articled with Panton & Son, Timaru civil engineers and architects. He arrived in Sydney soon after completing his training in 1914 and established John P Tate & Young, architects and consulting engineers. His commissions included the high-rise Manchester Unity Memorial building in Elizabeth Street, supervision of construction at Port Kembla steelworks, theatres, service stations, aeroplane hangers and residential work. In 1940 he became superintending architect, NSW, of the Commonwealth Department of the Interior and in 1942 was State construction manager for the Allied Works Council. He was elected associate of the Royal Australian Institute of Architects in 1945 and Fellow in 1950, a member of the Town and Country Planning Institute of NSW in 1946 and Life Fellow in 1974. Tate was the inaugural Chairman of the Cumberland County Council from 1945 to 1951, charged with producing a planning scheme for Sydney. He was an executive member of the Local Government Association of NSW from 1947 to 1949. 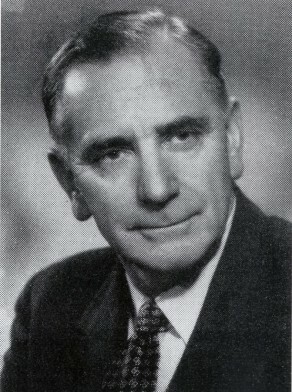 A founding member of the Liberal Party, John Tate was elected to the Commonwealth Senate from February 1950 to March 1951 and was re-elected from April 1951 to 30 June 1953. He chaired the Standing Committee on Regulations and Ordinances. Tate was elected to Ryde Municipal Council in 1944. John Tate was Alderman for Gipps Ward, 23 December 1947 to 4 December 1953 and for City Ward, 2 December 1953 to 30 November 1956. He was a member of the City Planning and Improvements Committee and the Finance Committee, 1948-51, the Health and Recreations Committee, 1951-56 and the Works Committee, 1948, and 1951-56. He led the Civic Reform Association. Sarah-Jane Rennie, ‘Tate, John Percival (1894–1977)’, Australian Dictionary of Biography, National Centre of Biography, Australian National University, http://adb.anu.edu.au/biography/tate-john-percival-11822/text21153, accessed 26 November 2012.